According to Norway media reports, frigate sustained heavy damages, water ingress, probably in danger of sinking, all 137 crew evacuated, 7 were slightly injured. Eight injured crew members were taken off as well as the other 129 on board. Nato's Allied Maritime Command said in a statement: "Due to the damage to the frigate it was moved to a safe place". The £500 million Helge Instad was launched in 2007 and is one of five Fridtjof Nansen-class frigates operated by Norway. The United States' nuclear-powered aircraft carrier USS Harry S. Truman will also be taking part. Norway has grown increasingly nervous about neighboring Russian Federation since it annexed Crimea from Ukraine in 2014. 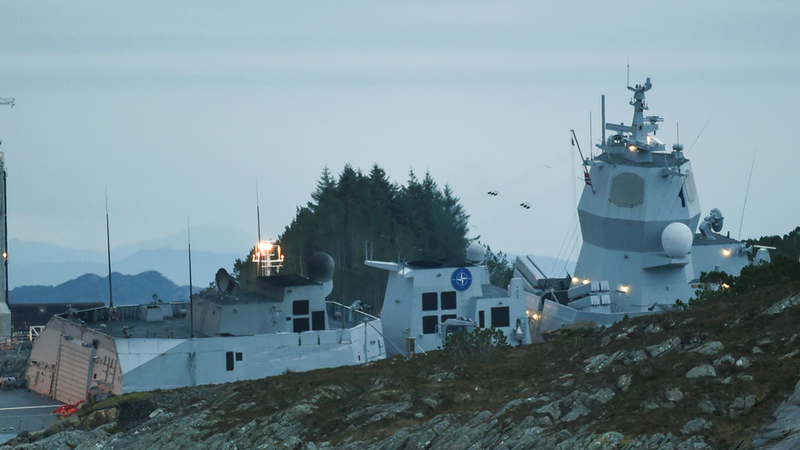 The Norwegian Armed Forces are leading the recovery operation in close co-operation with the Norwegian Coastal Administration.